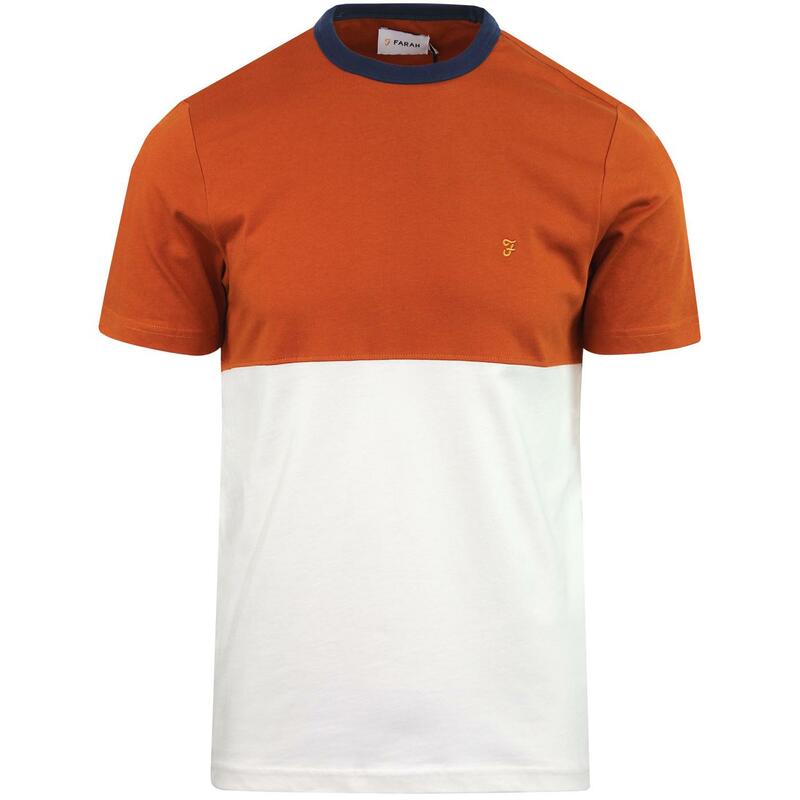 Farah 'Ewood' men's retro colour block t-shirt in goldfish. 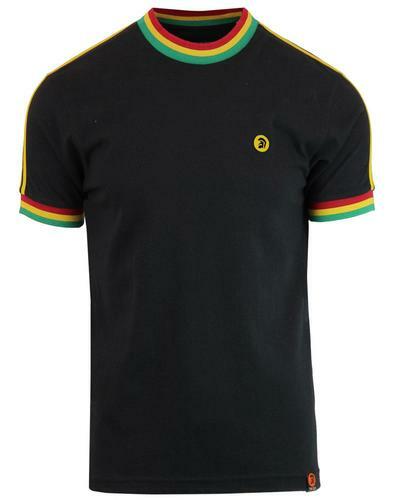 With a cool retro 1970s look and feel, this cut and sew colour block short sleeve tee is sure to stand out and add a casual indie edge to your ensemble. With the retro crew neck ringer collar in blue adding an extra burst of colour and the iconic Farah 'F' embroidery to the chest, the 'Ewood' men's t-shirt can't fail to catch the eye. Team with denim jeans and trainers for an easy spring/summer look. 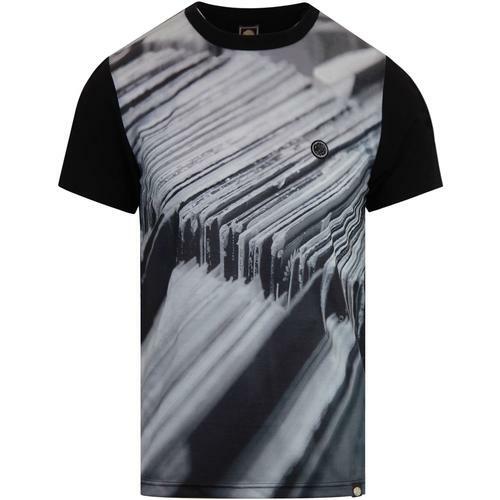 Farah 'Ewood' men's retro colour block tee in goldfish. Goldfish orange and ecru cut and sew panel construction. 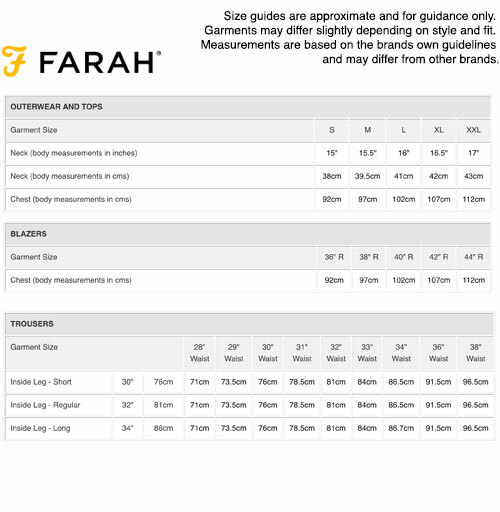 Farah embroidered motif to the chest. Cutaway with herringbone tape detail to hem. 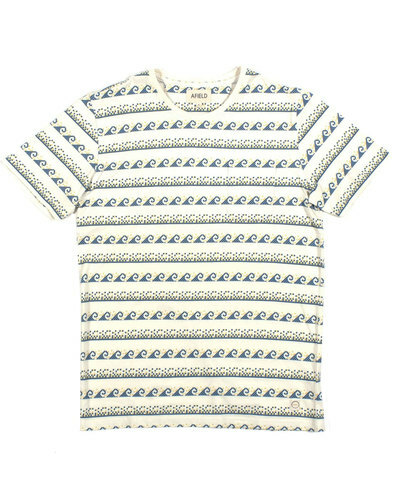 SKU: F4KS9045 808 Farah Ewood T-shirt.